Victorian heart love connector, 22K gold finish pewter, B'sue by 1928, heart connector, vintage style, lead free pewter, heart with love inscription, love heart connector, heart charm, pewter castings. Measures 18 x 20mm. Has the 1928 signature design on the back. 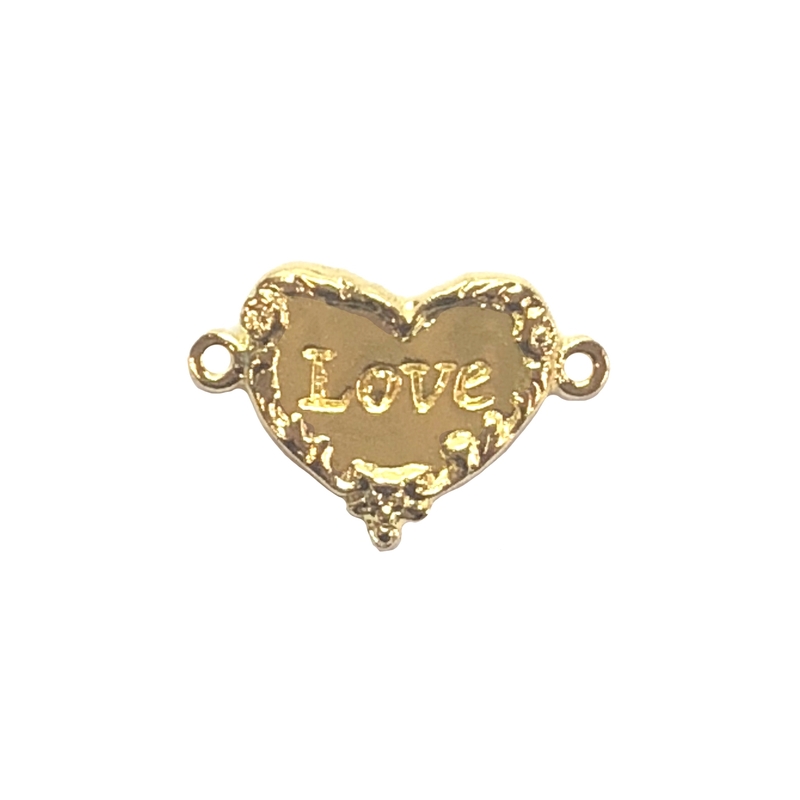 Multiple uses, charms, bracelets or necklaces.22K Gold Finish is a rich bright gold wash over the pewter. Very strong and sturdy, it is lead and cadmium free as are all our finishes at B'sue Boutiques.